A sense of excitement, mixed with the sobering reality of a hefty budget crunch, pervaded the Statehouse last Thursday. Elected officials, dignitaries, campaign volunteers, administration officials past and present, and press crammed onto the floor of the House, on the balcony, and spilled into the lobby. And then cameras flashed as Gov. Peter Shumlin took the oath of office. In his inauguration speech, Shumlin, the 81st governor and the first to hail from Putney since George D. Aiken in the 1930s, spoke optimistically about Vermont’s bright future without flinching from a challenging $150 million budget deficit. “Vermonters are a rugged people with an abundance of spirit and toughness. 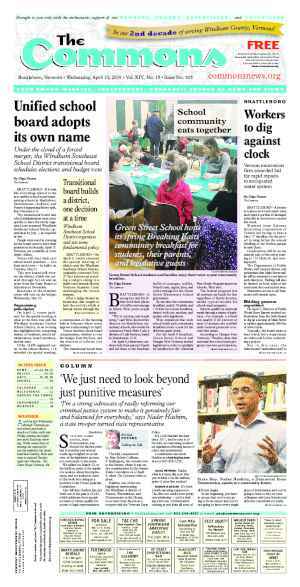 Each day is another day in which we can excel,” Shumlin said. Earlier in the day, the Legislature bid a bittersweet adieu to Rep. Michael “Obie” Obuchowski, D-Rockingham. Obuchowski banged the House gavel to close out the day’s abbreviated session, symbolically ending his 38 years of service to the people of Vermont. “May the Vermont style of government, based on mutual respect and trust, and an unrelenting interest in the public good, never perish. 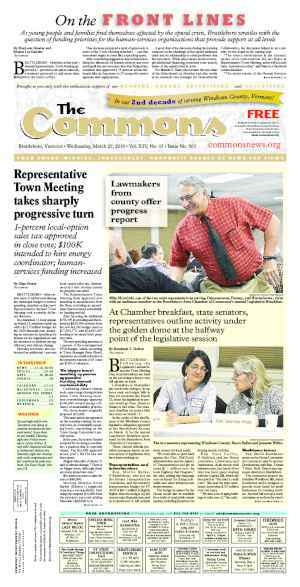 The outcome is in our hands and those who follow,” Obuchowski wrote in his resignation letter to House Clerk Don Milne. Obuchowski moved into his new appointment as the commissioner of Buildings and General Services, effective that afternoon. 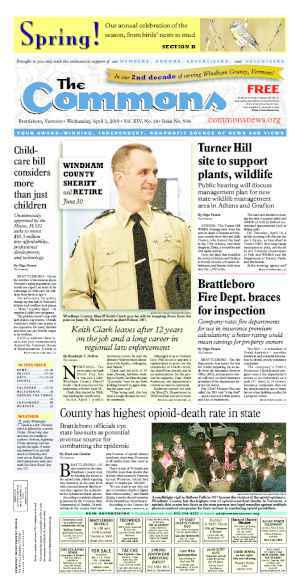 In general, the Windham County delegation expressed hope for the next two years. One observer described the delegation members as “bouncing off the walls with excitement” at the prospect of seeing many of their initiatives, which had withered under the former Douglas administration, flourish with support from the incoming Shumlin administration. Marek, a member of the Judiciary Committee, said the upcoming legislative session should prove “interesting.” Vermont Yankee had been, and probably will be, one of the topics on the committee’s slate this session, he said. Rep. Carolyn Partridge, D-Windham, chair of the Agricultural Committee, said the committee hopes to design an alternative system to the potentially punitive fee structure proposed in the latest federal food safety bill that passed the Senate in late 2010. The federal bill requires farmers to pay operating fees. Opponents to the bill say these fees favor mega-farms and penalize small operations. Although provisions have been made for small-scale farms, said Partridge, more needs to be done to help Vermont farmers. As chair of the Windham School Board, Partridge said she will continue fighting to ensure small schools receive the funding they deserve. Health care reform remains important to Partridge. She said Vermonters’ access to high quality comprehensive health care first spurred her to run for office 12 years ago. Rep. John Moran, D-Wardsboro, said he felt pleased about Shumlin’s appointment of Annie Noonan as commissioner of the Department of Labor, saying she looks out for working Vermonters. Before her appointment, Noonan served as the executive director of the Vermont State Employees Association. Economic development, expanded broadband Internet and cell phone service, property tax reform, and health care reform are issues on the top of Moran’s list. Moran cautioned that the state’s economic health will dictate a lot of decisions this year, as Vermont will receive a smaller amount of federal assistance. “But we’re equal to [the challenge],” he said. All the same, the state can’t forget its “fundamental responsibility” to provide essential services to Vermonters, he said, adding that he believes the human services budget has been cut as much as it can be. Moran is authoring a bill with Rep. Ann Manwaring, D-Wilmington, to increase transparency in the property tax system. Newly elected Sen. Peter Galbraith, D-Windham, talked health care reform and tax restructuring while he pointed to the graffiti in his desk in the Senate chamber vacated by Shumlin. Among the names etched into the desk’s wood were some of his predecessors from Windham County, including Edward G. Janeway, Nancy Chard, and Rod Gander. Galbraith reiterated that he hopes to see a single payer or state health-care plan with a public option as a potential interim step. “Such comprehensive reforms you can’t put into effect overnight,” he said. Rep. Oliver Olsen, R-Jamaica, said he was excited about the new legislative session. “People are usually energized by change,” he said. But Vermont also has some “big challenges” ahead, he said. “There are no easy answers. There will be some tough choices,” he added. Olsen said he wants to reverse a tax on ticket sales for nonprofit organizations enacted by a previous tax bill. The property tax burden has hit a number of Olsen’s constituents, he said. He awaits the Blue Ribbon Commission tax report, which is due out later this month. Olsen said he is glad Shumlin is “sensitive” to the negative impact of tax-free New Hampshire on Connecticut River Valley communities. He said Shumlin’s inauguration, wherein the new governor promised to stay away from any new broad-based taxes, was good, but overshadowed by the $150 million budget gap. “That’s a different equation to solve,” he said. Despite the Senate’s 2010 vote to not allow the Public Service Board to issue a certificate of public good to Vermont Yankee, Olsen said he didn’t regard the matter as closed. “The Senate vote was in no way binding,” he said, indicating that the matter can be revisited by both the House and Senate in this new biennium. High on the list for Rep. Mollie Burke, P-Brattleboro, is the Complete Streets legislation also supported by AARP. The legislation focuses on making streets friendlier for motorists, pedestrians, and cyclists through advanced planning. Improving public transportation and climate change also top the list of Burke, who serves on the Transportation Committee. She said better public transportation could improve connections between areas in Vermont and cut exhaust emissions contributing to climate change. “It’s an exciting time to be thinking about this,” she said. 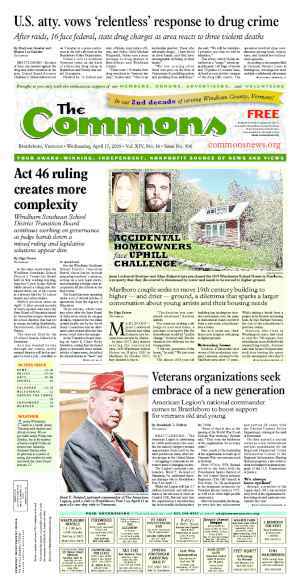 Mrowicki said the governor recognizes the importance of bringing broadband to the last rural mile and replacing the current health care system — in danger of bankrupting Vermont if left unchecked — with a financially sustainable system. Sen. Jeannette White, D-Windham, will continue as chair of the Government Oversight Committee and was also assigned to the Judiciary Committee for the first time. She said this would be the session for constitutional amendments. Freshman Rep. Michael Hebert, R-Vernon, who replaced Rep. Patty O’Donnell, described his first day as a representative as a blur. By the second day, he could sit back and appreciate things more, he said. He said Shumlin did an “exceptionally good job” setting up the goals of his term and choosing the members of his administration. Although Hebert does not agree with Shumlin 100 percent, he found Shumlin’s “apolitical” inauguration speech encouraging and hopes the new governor maintains the positive atmosphere. He said he was glad Shumlin recognized Vermonters can’t afford to pay any more taxes. Hebert will sit on the Natural Resources and Energy Committee, one of the committees concerned with the operation of Vermont Yankee. He considers VY’s closing “inevitable,” whether the gates shut in 2012 or in 20 years. Either way, Vernon’s economy will take a hit. Hebert, who also chairs the Vernon School Board, thinks the school budget will weather the change. The town took the plant off its grand list a few years ago, so the school has already adjusted the budget to accommodate VY’s absence. “I do think the town has to do some preparation, but is better off then they think they are,” Hebert said. At 4:30 p.m., on Thursday, a half hour before the end of nearly four decades as a representative, Obuchowski stood on the House floor talking to colleagues. “I feel the same excitement for the future that people feel for me, but I also feel that same sadness,” he said, his arms crossed in his characteristic stance. He will miss all the people, he said, because after 38 years, the House and his constituents felt like a family. He said that constituents have told him their stories, and some of them had been hard to hear. “Being in a position to help people, I’m going to miss that,” he said, his eyes watering. But Obuchowski said he looked forward to being a full-time father to his twins and serving the public in a different capacity in Buildings and General Services. He smiled and said changing his loyalty from the legislative to the executive branch would be an interesting transition. Some of his new employees started calling Obuchowski “boss” during his first visits to the agency he was minutes from leading. “I’m not your boss. I’m a team member,” he said he told them. Obuchowski said he will begin his appointment with a “listening and learning” tour. His last day as a representative reminded Obuchowski of an anecdote from former House Speaker Ralph Wright’s memoir All Politics Is Personal. Wright said he had walked the House floor so often he could find his way through with the lights off. Obuchowski joked he should celebrate his last few moments as a representative by shutting off the lights and seeing if he could find his way through the dark. Originally published in The Commons issue #83 (Wednesday, January 12, 2011).